First, the actual endowment report. Harvard lost 2% over the last year, driven into the ground by what I call conspicuous sophistication. The Harvard Crimson leads the charge on reporting the results here. There is a pile-on by the WSJ (some good reporting here), NYT, and CNBC among others. Then the students weigh in via the school newspaper. If there’s one constant Harvard’s endowment can count on, it’s that the students will be vocal critics no matter what. 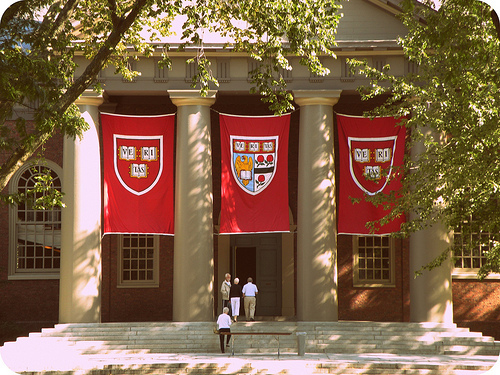 The horror of their $36 billion endowment lagging peers “is unacceptable”. When the endowment was blowing the doors off of its peers, students felt that management was getting paid too much. Now that performance is lagging, students are re-thinking this – maybe it makes sense to pay top-dollar for more skilled managers? Despite the students’ position reversal, I’d argue they’d be more satisfied cutting the fat and moving most of this into passive investments. However, passive investments don’t satisfy the need to signal the university’s sophistication and intellect so I doubt we’ll see that. The students also feel the need to petition the endowment to divest from problematic investments. Maybe they can just crowdsource the endowment’s hiring and investment decisions via the student body! I get the feeling someone’s going to be disappointed with these expectations, but in the long-run, I’m sure Harvard and its endowment will do just fine in the investing arena. Who knows, maybe one day they’ll follow CalPERS into the passive investing world.